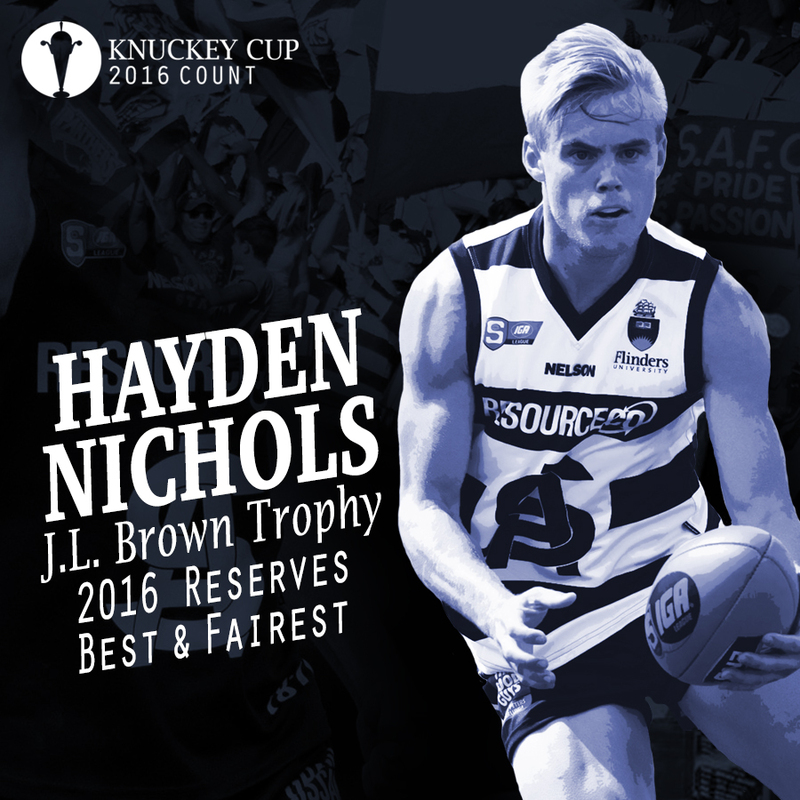 Joel Cross and Brede Seccull have taken out the 2016 Knuckey Cup, finishing the count tied on 123 votes. The midfield maestro's equal points finish is only the second tie since the Knuckey Cup was established in 1923 and the first since George Mulcahy and Jack Dawes shared the Cup in 1936. Spearhead forward Brett Eddy claimed third best and fairest, receiving 120 votes in his Ken Farmer Medal winning season and recording his best finish since joining South Adelaide in 2013. Throughout the count several front runners emerged, with cult hero Jake Veide claiming an early lead before emerging midfielder Nic Schwarz climbed atop the leaderboard at the midpoint of the season. However, on the back of a run of four best on grounds in five games through Rounds 12-17, Seccull soon surged to the top of the count and held a two-point lead at the conclusion of the minor rounds. Though as he often does in big games, Cross lifted through the Panthers two Finals matches to equal Seccull with one of the final votes of the count. Seccull becomes the 59th player to claim South Adelaide's highest individual offer, while Cross joins select company with Ray Linke (1950, 52 and 54), Geoff Baynes (1977, 78 and 79) and Nick Liddle (2010, 12 and 13) as the only three-time winners in the Cups history. Only Frank Tully (1929, 30, 33 and 35), Jim Deane (1948, 49, 51, 53, 56 and 57), Peter Darley (1963, 64, 66, 67, 68, 72 and 73) and David Kappler (1985, 87, 88 and 91) have won more. Earlier in the evening, Hayden Nichols went one step further than his 2015 Reserves Runner-Up finish to claim his first J.L. 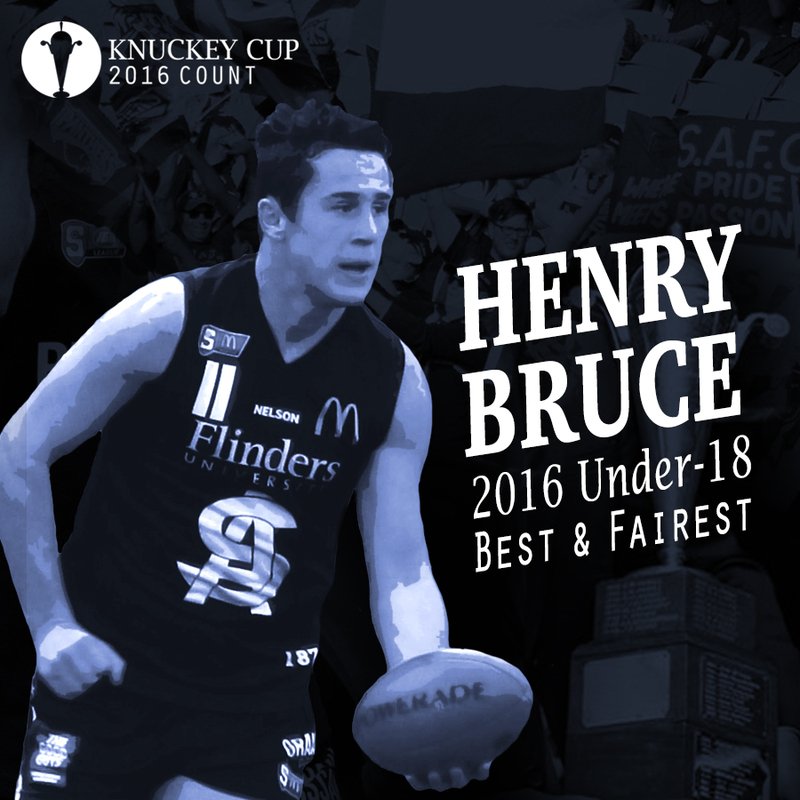 Brown Trophy as the Reserves Best and Fairest, while Henry Bruce claimed the Centre of Excellence Under-18s Best and Fairest award.